We have just renewed our website! As you can see, we have completely renewed our website! Thank you so much for all the feedback we have already received. Experience dining in our beautiful, authentic Japanese restaurant located in the Campsie. Chef Koji Ishiyama offers a modern approach to the rich traditions of Japanese cooking. Like we do in Japan, we cook with the seasons, and savor the peak flavor of ingredients. Koji Ishiyama grew up in the Japanese town of Yokohama in the Kanagawa Prefecture. Koji started his career at the age of 18 in Yokohama’s fish market where he began his profession, learning and perfecting his fish cutting skills. When he was 19, he worked as an apprentice for Fujiyoshi Restaurant in Yokohama, Japan. 8 years later, he was pointed as Head chef at Fujiyoshi Hotel in Shizuoka prefecture. By the age of 30 years old, he decided to further pursue his career overseas. By 2004, he arrived in Sydney with working holiday visa and was employed as a chef in the prestigious Masuya group. In a new country with a language barrier, he was given a challenging task of purchasing the freshest fish at Sydney fish market. Through these responsibilities he eventually gained the knowledge of local fishery and the skills to communicate with suppliers that sold the freshest fish in all of Sydney. 2008 He moved to Greece where he was pointed as sushi chef in the award winning fine dining, Nobu where he extended skills and knowledge for Japanese fusion cuisine. 2009 He then returned to Sydney and was pointed as head chef at Iiza izakaya dining and created dishes for the restaurant which was published in the Australian newspaper, “The Daily Telegraph”. 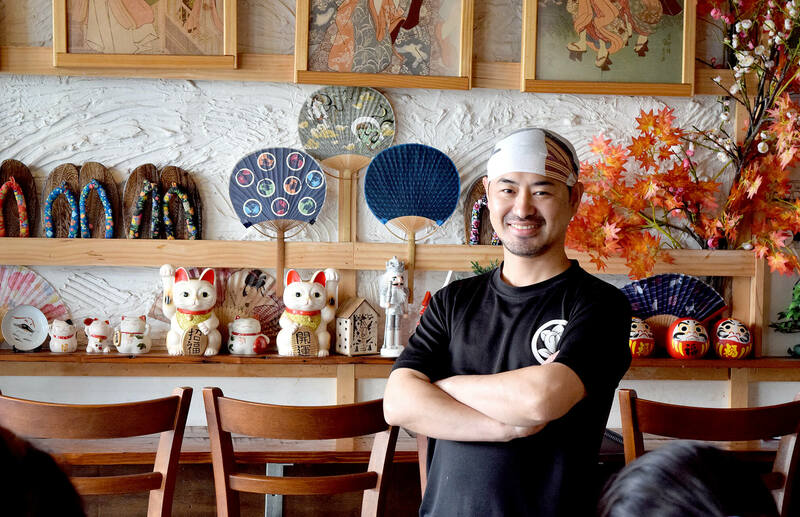 2014 Following his dream, Koji finally opened his own dining restaurant “Ishiyama Japanese Dining “in Campsie where he continues to follow his passion of making delicious Japanese cuisine that caters for everyone. He says that cooking is a part of his life. Now he is challenging his cooking and believes his food will make all his customers happy. Located in the fast growing suburb of Campsie. Ishimaya is a wonderful addition to the rich variety of culinary selection to Campsie. We strieve to grow as an establishment that Campsie community can be proud of. Designed by Koji himself, the interior of Ishimaya is compact and has a familiar feed for those who live or visited Japan before. Bringing the cozy feel of Tokyo to this restaurant.